As part of its retention efforts, the Air Force released details on the fiscal year 2017 Aviation Bonus Program June 5, 2017. This year’s program implements an increase in maximum bonus amounts authorized in the fiscal 2017 National Defense Authorization Act in addition to more flexibility in contract lengths. The program, combined with additional non-monetary initiatives, is part of a holistic approach to improve readiness and capacity by increasing retention of experienced aviators. This year Congress authorized the Air Force to increase the annual AvB cap from $25,000 per year to $35,000 per year and has mandated that bonus amounts be based on a business case analysis to determine greatest need and appropriate monetary amounts. Additionally, the fiscal 2017 AvB contract options include one-year, two-year, and five-year options for all eligible 11X aviators, with the amounts tiered by the most critical needs. 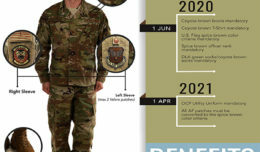 Bomber, special ops, and mobility pilots have a nine-year contract option while fighter pilots have nine-year and 24 years of aviation service (13-year maximum) options. 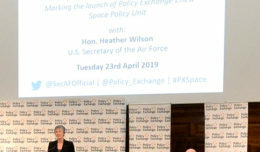 RPA pilots, along with combat systems operators from various flying communities, are eligible for five-year contracts at varying amounts, tiered by critical needs. The Air Force’s strategy to mitigate the pilot shortage consists of non-monetary and monetary initiatives in three main areas: production of pilots, reducing demand/need for pilots in non-flying positions, and increasing pilot retention. 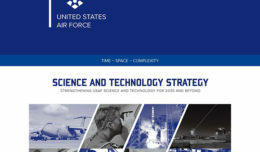 Some of the non-monetary initiatives include reducing the demand signal for non-flying assignments, headquarters staff positions and developmental opportunities; creating flexible options for developmental assignments that will reduce involuntary separations and provide flexibility for Airmen and families; reductions in additional duties; addition of contracted administrative support in operational units and more hands-on consultation with base leadership when choosing who will fill various assignments. The Air Force is also looking at additional monetary incentives for aviation, especially those targeted at mid-career aviators. The fiscal 2017 NDAA provided authorization to increase Aviation Incentive Pay, commonly known as monthly flight pay, which the service plans to increase this summer. For complete eligibility requirements and application instructions, visit the myPers website at https://mypers.af.mil and enter “aviation bonus program” in the search window.